The American University in Paris [AUP] is proud to announce its upcoming conference “A Language to Dwell In”: James Baldwin, Paris, and International Visions from 26-28 May 2016. The Conference encourages broad international and interdisciplinary exploration of Baldwin’s life and writing, with emphasis on the Paris he inhabited (intermittently from 1948 onwards), both for what it was and for what it is today as a result of the marks he left behind. An emphasis on his versatility in terms of style, genre and socio-political concerns is also of primary concern. Stressing the importance of Baldwin’s life, work and literary relations, the conference will be an intersection for all those interested in Baldwin’s work: from literary and cultural critics, to scholars of gender and queer theory, to political activists, poets, filmmakers, historians and musicians as well. 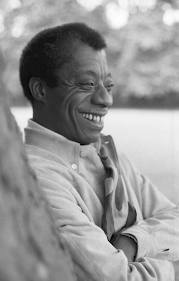 We seek a wide range of academic and public discussions which can engage with Baldwin’s work. Baldwin as a Global Explorer: The Fire Yet Again? 2. A one to two page vita. Submissions to Alice Craven at acraven@aup.edu and William Dow at wdow@aup.edu. Deadline for Submissions: December 1, 2015.